I haven’t done a “confession” entry in a while, and the subject of showers has arisen on several entries this week, so here’s one from my childhood. It’s my perception that most kids take baths for the first few years of life, and then they graduate to showers at a certain age. Maybe 5 or 6? You can tell me in the comments. I didn’t switch from baths to showers until I was 12 years old. Here’s the deal: Baths are awesome, especially when you’re a kid and you have boats and toys that change color in hot or cold water. I saw no reason to switch to showers when baths were an option. I also wasn’t aware that this wasn’t normal. Over time, though, I started to suspect that baths weren’t optimal for actually getting clean. You essentially sit in your own filth for 20 minutes, and it’s hard to wash your face or hair. It’s also kind of hard to fit into the tub when you’re a growing teenager. I wish I could remember the exact day when I took my first shower. It seems like a pretty big life event. At the time, I think I just resigned myself to it. It was just another part of growing up. Someday when I’m old, I’m going to switch back to baths. It’ll be a good day. This entry was posted on Wednesday, June 10th, 2015 at 10:26 pm	and is filed under confessions and tagged with confessions. You can follow any responses to this entry through the RSS 2.0 feed. Bath’s are awesome. I would much rather take a bath than a shower, any day. Showers are for getting clean. Baths are like spiritual therapy. A zillion years ago I lived in this ratty (literally) apartment in a questionable neighborhood, with no air conditioning. 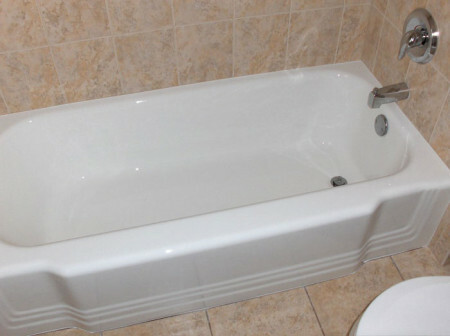 The one redeeming feature was that it had this awesome deep claw foot tub. On hundred degree days I would just fill it up with cool water and lavender bath salts and just soak up to my chin, for hours, thinking about anything and nothing at all, just being. I don’t miss many things about that time in my life, but I honestly miss that tub. I thought a lot of deep thoughts lying in that thing. I’m so sorry to hear you had to leave that bath behind! I didn’t have a bathtub growing up (save for a baby one I fit in for about the first 2 years).